In April 1948, Winfried Zillig, Schönberg’s master student in Berlin, performed the symphonic poem Pelleas and Melisande op. 5 with the Frankfurt Radio Symphony Orchestra. A live recording of the concert was copied onto records from audio tape and sent to Rockingham Avenue 116 as a greeting with sound from the Old World. 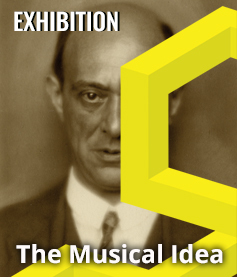 Schönberg was impressed by the quality of the interpretation and shared his enthusiasm with others, including the US record company Capitol. One year after the Frankfurt performance, plans to publish Zillig’s live recording on this label became more concrete. 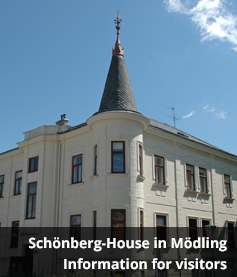 Schönberg drafted an introductory text for the record jacket and even insisted on broadcasting an address in which he announced the record’s release on February 23, 1950. This address was pressed by Capitol on a non-commercial record and sent together with the Pelleas records as promotion material to various radio stations in the US. Arnold Schönberg’s aesthetic positions at the epoch threshold between finite romanticism and emancipation of dissonance are thematized in a section of the “Vienna 1900. Birth of Modernism” exhibit at the Leopold Museum (starting March 16, 2019). Schönberg’s paintings are on view in Vienna on a larger scale for the first time in 14 years as part of this exceptional show. 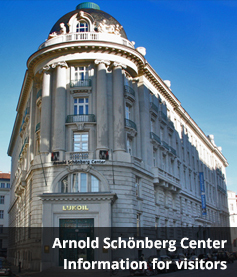 Following two previous successful composition workshops which showed the great compositional potential of young people, the Arnold Schönberg Center, in collaboration with Helmut Schmidinger (composer and visiting professor for composition at the University of Music and Performing Arts Graz), again invites six young composers between the age of 12 and 18 years old to come to Vienna. The third Composition Workshop (2019/2020) will be dedicated to the classical string quartet setting.